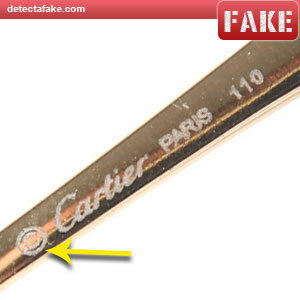 Cartier was founded in Paris, France in 1847 by Louis-François Cartier. 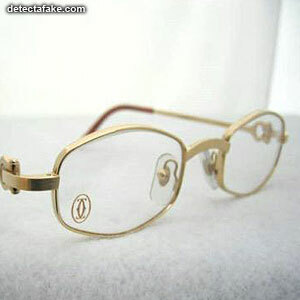 Cartier is well known for its jewellery, wrist watches and eyeglasses. 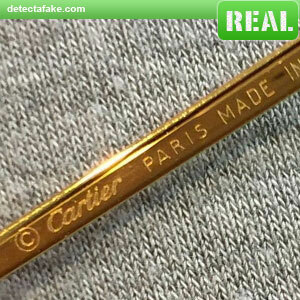 Below are a few ways to spot fake Cartier Glasses. The first thing to look for is overall quality. Check everything for alignment issues and misspelling. Also check everything that is printed. Make sure there is no paint wearing or chipping. Next, look at the nose piece. 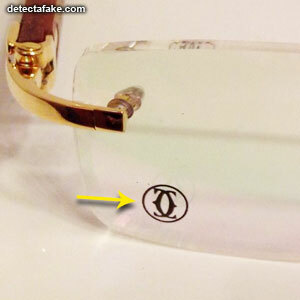 It should have the Cartier double "C" logo like the one above. Next, look at the printing on the arms. They should be somewhat centered. Some of the real ones are not exactly centered, but close. 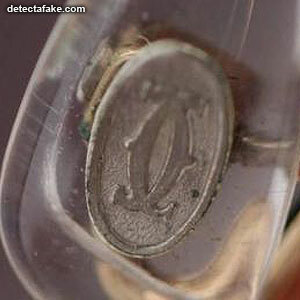 Notice on the fake above, the printing starts nearly at the bottom and ends up in the center. 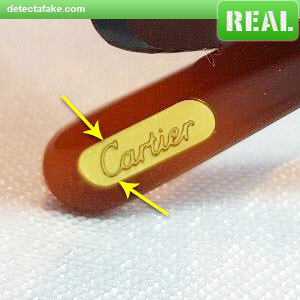 Next, look at the Cartier logo plate at the end of each arm. 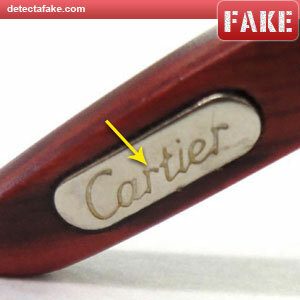 The "C" in Cartier should be just a little higher than center, from top to bottom. There are 3 problems with the fake above. 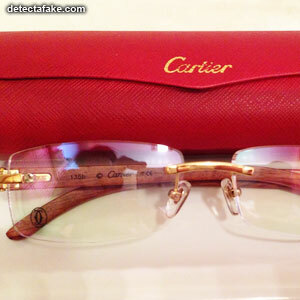 Next, Make sure there is the Cartier logo on the lens and it's of high quality.